Why should a business outsource marketing to an external marketing specialist? There are actually many advantages. The first and more obvious one is the cost benefit. When you outsource marketing as compared to employing an in-house marketing expert, you save on paying a number of employee related costs that are highlighted at the end of this article. As well as these recognised savings, your business also benefits by saving time dealing with staff issues or holding regular staff evaluations. By contracting or outsourcing staff who may only be required on a part-time or casual basis, you only pay for the services you need, rather than the costs associated with employing in-house staff. The second and more important advantage for a business that chooses to outsource marketing is gaining experienced marketing support and assistance at their discretion, as often or as little as it’s needed. When you have a skilled marketing consultant as part of your support team, you’ll feel confident that your business is staying on top of its game. Either by constantly remaining in your customers’ mind by implementing regular marketing strategies to keep your customers engaged, or by helping your business market itself more effectively. Many Perth businesses are realising the importance and benefits of marketing, and how profits can be directly affected by lost marketing opportunities or a lack of marketing and communications with customers. Marketing Wing Consultancy based in Perth, Western Australia is one of the few marketing consultancies with extensive experience, knowledge and skill in a diverse range of marketing services including digital marketing and advertising, marketing planning and offline or print marketing strategies. Read more about how Marketing Wing can help your business succeed in marketing, with either strategic marketing planning, outsource marketing management or a range of marketing services. There are several types of payments to employees that employers are required to withhold tax, including employee wages, salary, commissions, allowances and bonuses. Not only are these costs to the business, there is also a cost associated with the time it takes you or your office staff to administer payments and taxes. Whether the employee is full time, part time or casual, employers must pay superannuation if the employee earns the minimum monthly threshold as stipulated by the ATO. Generally, employer contributions in Australia will be over a minimum of 9.5% of the employee’s salary or wages. Paying employee casual rates, overtime, allowances for travel, workers compensation, leave payments and any bonuses are all other types of staff payments that may be required by the employer on top of their standard salary or wage. Retail and office space in Perth are at a premium so can be expensive to lease or make loan payments towards. Marketing staff need adequate space to work and hold meetings with suppliers or contractors, and this may be costly or simply not possible due to limited space. Having the necessary tools and equipment for marketing professionals to complete their work may include computer hardware and software, telephone(s), office furniture and storage and other office supplies such as stationery, printer, photocopier etc. The costs of running the marketing employee’s office space may include power, internet access and telephone costs at a minimum, as well as any payments incurred due to any travel to visit contractors or suppliers, such as petrol allowance or any car expenses. There is always an amount of time during the year that an employee will not be at work or is away from the office. This may include time away for holidays, work breaks or sick leave, and during these periods, the employee is still being paid just as they are when they are at work. 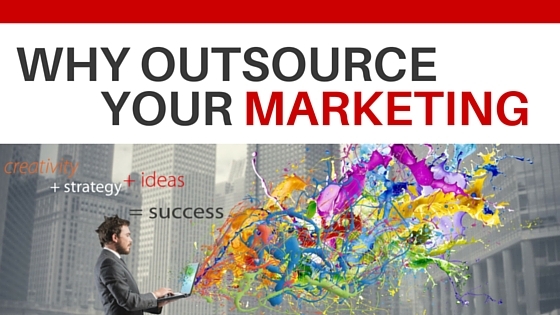 Need help with outsourced marketing? Schedule a complimentary 30 minute discussion to talk about your marketing needs. Complete the form below to discover how we can assist you market your business better!